Ofsted are the independent regulators who carry out inspections of schools. As well as observing school practice during an inspection, they take into account information gathered from various other sources including listening to pupils and parents. In Parkside’s most recent inspection in March 2011, the academy was judged to be “Outstanding” – the highest rating a school can achieve. 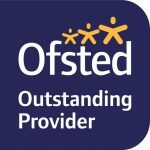 To see some of the information that Ofsted use to reach their judgement, as well as the opportunity to read our Inspection Report, please follow the links on this page.